How are GOLDENS "any" different than Caramels? Here are two examples of field collecting trips that I experienced that offer even more value than just capturing a Locality Snake in the wild. How about catching one that is already gravid or finding eggs! Catch me a gravid wild Anery, with a story like this you can prove, and a Golden will be yours. The coolest field collecting experience of my life is when I lived in the Mojave Desert west of Ridgecrest CA, at the base of the Sierra Nevada Mts. I was in the 7th grade. (First Photo) I caught most of the reptiles you can find in any Field Guide in the area, including yellow and red Sand Snakes. Our land lord had a chalk board with all of the Rattle Snake and Sidewinder kills he made each year. It was always around 300-400. I killed a few in the road with my motorcycle, but I wouldn't do that today. I found a water hole that was the only one for miles. Ever animal in the area used it including all mice and Cotton Tail Rabbits. One day, I found a Mojave Green at the water hole that had just finished eating an adult Cotton Tail Rabbit. She was as big as the Amel Burmese Pythons I bred later in life. I was young, so she may not have been as big as I remember, but she looked to be 10-12 feet. I could have killed her, but she was like looking at the Grand Canyon for the first time, MAGESTIC! Can you See all of the babies in her? Can you see the pile of live baby Mojave Green babies she laid soon after I saw her? If any of the babies expressed a mutant gene like Amel, I would call it a Locality Amel Mojave Green. The second coolest field collecting trip experience I had, was when I was looking for Pyros in the spring. I found a nice Granite Rock area. On the south side, I found a piece of granite that had broken away from the larger rock. It was about 6 x 6 feet, and 1 foot thick. It was sealed all the way around by dirt and grass. I was carrying a pry bar, so I was just able to pry this large piece of rock away from the larger piece. Under the rock, I found three female Pyros. One of them was gravid, and the other two had just laid their eggs! On the way back to camp, I also found a “Pair” of Pyros breeding in the sun! 5 adult Pyros and two clutches of eggs, before lunch, not too bad. When I got back to camp, I was telling the stories to Bob Applegate, and handed him the two that were breeding. He started dying laughing at me. Dude, these are two males! Ok, 2.3 Pyros and two clutches of eggs, before lunch, I will take that. I know how much fun Field Collecting can be, I have done it from the Oregon Boarder around the Cape of Baja and back again. I catch and release normally, but if you can find me any Locality Corn of interest, you will be moved to the front of the line on my Golden list. If I lived in Florida, it would be a hobby me. If I lived in SC, I would hunt the Locality of the Golden capture and the Hunt Club Area. I would also Hunt the Hope Plantation, which is where the male Okeetee came from, which produced the 7.7 Okeetees the Lava gene came from. This is the reason I don't call the Lavas I have Locality Corns but rather Landrace. The male Okeetee the line came from was from the Good Hope Plantation, and all of the females came from the Hunt Club, so not from the same Locality. The second photo is of me when I first met Lloyd Lemke, holding the coolest snake I ever bred, a Blue Green Tree Python. I had a 95% Yellow one too. Chondros are one of my favorite Snakes I have ever bred. I never did produce any Blue Chondros, but many Green ones. I did breed my $5000 adult Blue Condro female I imported from Germany , but she died egg bound. I cried more times than one over that loss, but that is what can happen when you breed animals. 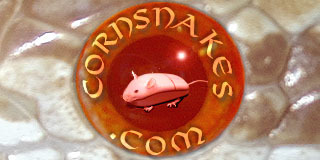 Joe, I must have missed it somewhere, but what is the definition of a "Landrace Corn Snake"? I am an Expert Keeping Snakes, Breeding Snakes, and Know a great deal about the genetics of all Snakes, due to a simple hobby I have had for 35 years. I am an Expert in the genetics of many Animals and Humans. The second coolest field collecting trip experience I had, was when I was looking for Pyros in the spring. I found a nice Granite Rock area. On the south side, I found a piece of granite that had broken away from the larger rock. It was about 6 x 6 feet, and 1 foot thick. It was sealed all the way around by dirt and grass. I was carrying a pry bar, so I was just able to pry this large piece of rock away from the larger piece. And STRONG! A piece of granite that size would have weighed over 6,000 pounds! My memory is excellent, so when I decided to just think about where else the Caramel Gene came from other that a wild caught corn that was not tested to Caramel to prove its source, I came up with the Snow and Amel that was used to breed to her were both or just one of them, was het for Caramel. I know it is very possible for Lloyd to have sent Rich Z a Snow from his Bubblegum line and an interesting Amel, and Rich would find a female Corn to help Create a New Amel LOOK. Lloyd already saw “Orange” Corns (Amel). Lloyd Lemke could have set up Rich Z to discover the Caramel Gene, and he didn't even have known it. If one or both of the Corns he used to breed to the wild caught female was het for Caramel, his results could have easily been exactly the same as he described. Yeah, anything is possible. I'll be the first to admit that. But unlikely, I would have to say. The fact that I bought my snows from Tom Crutchfield might throw a wrinkle into your theory. I believe I bought one pair from Tom. Maybe two. He wanted $300 each for them, and a the time, that was pretty stiff for "just" corn snakes. Anyway, Connie and I were on vacation down in Englewood Beach, and as usual we stopped by Tom's place to take a look around. I walked right by the bin he had sitting on the floor, thinking it had nothing more than an uninteresting bunch of amelanistic corns and their shed skins in it. Then Tom asked me what I though of the Snow corns he just got in. ?? Those "shed skins" in that bin I walked by were the Snows, of course. Now, granted, I have no idea where Tom got those snows from, but this sure does punch a few holes in your theory that Lloyd suckered me into hatching out Caramels for him. Unless Lloyd was EXTREMELY psychic (much like you claim you are) and just knew that selling them to Crutchfield would coincide with my vacationing down to that area, visiting Tom's shop, and buying them there. Yep, that would be a pretty impressive feat. Another little factoid, since those were the only snows I had, and at the time they were the most exotic genetic thing going in the corn snakes, I bred them to every animal I had. Including the Lavenders, which I called "Mocha" at the time. If you psychic theory were correct, then I would have had Caramels coming out of all of those additional projects I had started. Wouldn't you think? But such was not the case. The Caramels (and Butters) only came from progeny of that original female I bought in that Cape Coral pet shop. And why didn't I keep that original female to breed the Caramels back to her? Well, honestly, I wasn't expecting a new gene to pop out. I thought maybe Anerythrism might show up as a result of the Snow corn breeding, since Cape Coral isn't far from where the Anerythristics were located in the wild. So after I bred her with the Snow, I really had no interest in keeping her around, so quite likely I sold her off soon afterwards. When you have a large number of animals, keeping ALL of them based on "what ifs" just is not feasible. It might take you at least another generation before a latent gene pops out. IF you do intensive inbreeding and grow your animals up in a hurry, you are talking 4 to 6 years before you would see any such results. Personally, I didn't grow my animals up real fast, so with me, such a turnaround would have been more like 8 years or so. That is a heck of a long time to try to keep EVERY animal you produce from EVERY project you are doing. ALL Butters have a lot of unexplainable Yellow Pigment, that doesn't come from the Caramel gene, unless you can prove it otherwise. Perhaps you have proved un-otherwise? The empirical data I collected over the number of years I worked with the Caramels and Butters suffices for the conclusions I came to during the time. I never produced any yellow colored amelanistics except those that had Caramel in their ancestry. Perhaps your experience has proved differently to you. We can not talk Lloyd Lemke now because his Avatar is no longer with us, but I can. He is alive and well in the “Spirit World”(Heaven). I am every kind of Empath and Psychic that you have ever heard of just like Teal Swan, if you know who she is. This includes the “Clown” Empath that is like a Bull in a china shop of mis-information. We don't have to react to misinformation, but if we are ask to, Our Soul, can not help itself, and we bring attention to the misinformation, which is Loving, no matter how much you don't like it. How did I confirm my memories about my conversations with Lloyd 20 years ago. I talked to Lloyd of course and down loaded all of the information from him about it. Do you believe in “chanelling” or “inhabiting”, I can do it any time that I want to. Look it up on the internet. There are a lot of people who can channel, or allow inhabitation. It is an awesome experience. Basically, they move into the drivers seat of your Avatar, and you slide over into the passenger seat. From that point, I experience everything he sees and thinks, and I down load the information. sections of text removed for the sake of brevity. Seriously Joe, I don't even know how to comment to this without inadvertently sounding condescending. But I will ask you this. How about the next time you "talk" to Lloyd you ask him if he did, in fact, set the trap of the Snow Corns by getting them to me through Tom Crutchfield? There are several Private Properties on the East Coast of Florida, that maybe Localities of Landrace Corns. Is it possible to find Raider Corns without the “Browns” influence, on these properties, even Landrace Amels? Thank you for saving Football, Mr. T. I will be watching with you. I sure hope I do not See any scripted plays today. There are things in life that money, and fame can not buy, Love and Truth. Since I have no money to offer you on your birthday, I will offer my Love and a few Truth Bombs. Any Property on the east coast of Florida that has Sea Turtles nesting on their properties may also have Landrace Corns living at the same Localities. Field Collecting trips with Boy and/or Girl Scouts to hunt Landrace Corns or witness Sea Turtles nesting on Mother Earth, would be an experience remembered by All, for Eternity. If I were to find a YouTube video of Rich Z, some Boy Scouts and Rush L, or Mr. T, as witnesses of the capture of any Landrace Corn on your Properties, I would accept them as Landrace Corns. If I were Chief Joseph of the Americas, and ask for advice about our Border Problems, I would advise Mr. T of God's Law and Indian Law. God's Law addresses the Cause of the Problem, not the Result of the Virus of Lies. The Humanitarian Crisis at our Border is Caused by the Snakes/Slave Masters ruling over their Slaves. Give me 5 Billion Dollars and the Trigger, and I would cut each and every Head of the Snakes Ruling over God's Children, starting in Mexico, and I wouldn't stop until I reached the Cape. One cruise missel for each Corrupt “President”, and Drug Lord should to it. How much would that cost? He might be able to create the Trump Wall, with 1 billion. Cut the Heads off of the Snakes Enslaving their Neighbors, before they know they are bleeding, and the Locals will take care of the rest. Nobody would Flee their Home, if they were not in FEAR of Snakes. I would do the same from our Norther Boarder all the Way to Sarah P's Neighborhood. Trump's Boarder Wall would be in place and he can give All of the money illegally confiscated from All Slaves back to the Native People to Create their Own Heaven on Earth. Jesus has already Returned to Earth. He is a Teacher, and the Son of God, not god. He taught me how to take the Narrow Path, on “The Way” to God, and he can teach anybody how to connect to the Goddess Herself just like I have. The Teachings of Jesus can be learned today on the Internet on YouTube. I suggest Divine Truth, “The Way” that begins with Jesus kissing Mary M. I followed The Way as taught by AJ Miller, and my Holy Spirit Connection with the Goddess came on line. My Teacher now is the Goddess Herself, and Jesus is my Brother. How do I KNOW AJ is Jesus reincarnated, because he said so. If my Understanding of my Human Genes is correct, I am a Super Private Investigator with ALL Mutant Powers the Goddess Created in Humans. If I have a question I can not answer on my Own, I can Channel the Goddess, who can provide me with Instant Knowing, or Knowledge, like down loading on the Matrix. She usually just give me a clue to figure it out by myself. Talk about the best Teacher ever! I can watch AJ Millers videos as if I am in the room with him at the same time he recorded the video. I have never caught him Lying, not one single time. He speaks English, so even a 5 year old could understand him. If AJ is not Jesus reincarnated, he is Inhabited by Him often. Thou shall not Murder, does not mean Thou Shall Not Kill. It is Impossible to Kill anyone, as explained by AJ. Our Soul is in a higher Dimension than our Reality. The Reality we are in now, is nothing more than a Training Program for our Souls to become Self Aware, as Joe P and Rush L, and attach TWO bodies to our Soul. A “Spirit” Body/Avatar and this Avatar. The Spirit Body is in a Dimension of Heaven, and this Body is born into this Reality. The instant this body stop functioning, you wake up in your Spirit Body in Heaven. The “Hells” are located in the lower dimensions of Hell. Since no Spirit Body has ever been “Killed”, or ceased to function, the True meaning of the Goddess Punishment in Hell, is reliving the last day of your death, each and every day, over and over, until you make a change in your Soul. You can remain in the Hells with other Souls exactly like your own as long as you like, or over 30 dimensions are available to experience in Heaven. Mr T. is not playing 3D chess with the Drive by Media and the Left, he is being Coached by the Goddess Her Self, with 30D capabilities and More. The Goddess Dimension is Located out side of Our Own. She Created this Reality with Her Soul Mate, who no longer exist, so she really doesn't “Know” Everything about this Reality, BUT she is our Queen Bee, of our Borg. If I were Chief Joseph of the America's, the Snakes Enslaving and Causing the Crisis at our Boarder, would receive the Shaka Zulu method of Culling the Demon/Liars from his Village. Reliving the last Day of your Life before you Lied to Chaka, in the Goddess Definition of Hell, WILL make changes to your Soul, in just a couple of days. We are currently living withing the 1000 years of Jesus Rule as stated in the Bible. If We follow God's Law's instead of Mans Laws, such as Thou Shall Not Lie, and follow Jesus Teachings about our True Reality, We will bring Heaven to Earth, without the Goddess help. The Best Teachers teach you how to Learn by Your Self. Last Truth of the Day, before Football! The only Reason you Believe in Nuclear Bombs is the same Reason you Believe that Man Landed on the Moon. The US Snakes, Fake Scientist, and Fake News COLLUDED to Create Fear in “Their” Slaves. If Mr. T. Releases ALL of our Nations Secretes, from JFK to Present, which only Exposes the Lies of Our Snakes, ALL of our Problems in our Neighborhood will be Corrected like we are on auto pilot. Mr. T. tear down the Wall of Lies, the Leader of the House and Others are supporting. If anybody in DC is caught on Video, stating Opposites, one of them is a Lie, and is my Definition of Treason, against Chief Joseph. I've been away from the forum for a while. My Okeetee male (Shesha) is doing great by the way. I was shocked to see that goldens are now a reality! I imagine they are pretty rare right now but was wondering if anyone involved had a guess as to when they might be more readily available. Still a strong desire of mine to have a land race collection eventually. Sorry about the YJ origin mixup in the book, Joe! I have an amendum & addendum section in book #2, that correction will be made there. Also, I'm happy to announce that I have 2 possible het golden breedings completed. I had 2.3 possible hets & 2 females were breeding ready this season. They were paired with the 2 ph males I have. I made 100% sure that certain females were only exposed to 1 particular male each so we will know which end up being het golden if any goldens come out. The only issue is that all are het Caramel as well. I hope we can tell the difference visually! One of the PH golden girls laid 12 eggs today, the other is gravid with at least another dozen. So cross fingers we get some visuals! Also, since you are the only one with visuals, any way you can get a decent eye photo of the adults? I believe I have some old pics from your (now deleted) facebook page of the babies... But we have so few photos of the adults anywhere. Generally I wouldn't post this on a public forum, but I think it'll be important in the future when Golden is common... and people can't tell the difference between it and caramel (like some people still have an issue telling Anery-A & Charcoal apart). Well, Now I just feel like I'm speaking into a void. That makes a total of 26 eggs so far. This female looks healthy enough to double (actually they both do), but I'll probably not force it. If they do, they do.